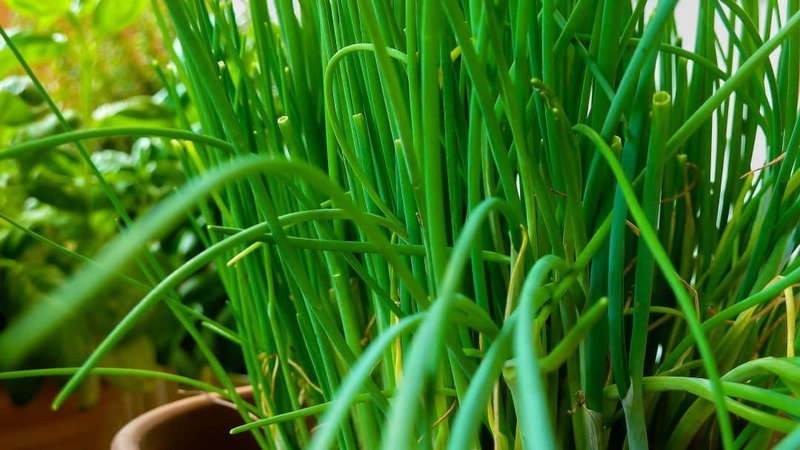 Herbs are a wonderful way to add flavor and aroma to your cooking, and they also make beautiful garnishes. Most importantly, they’re packed with antioxidants and nutrients. Although dried herbs are sometimes recommended in recipes, fresh is generally preferred by chefs. Some people, however, are intimidated by the idea of using fresh herbs in their cooking. It can be tricky to identify the different herbs in the grocery store unless they’re clearly labeled and to know which herbs go best with what foods. For those curious and wanting to experiment with herbs, start by picking a few basic ones, like basil, thyme, and parsley. Buy one of these each week, and try recipes calling for that particular herb. Add a small amount to soups, salads, and sandwiches to discover the combinations you like best. Use a herb-food pairings guide such as the one at the end of this article. Buy your herbs as close to your cooking time as possible. You’ll find fresh herbs in supermarkets packaged in various ways, such as grouped in bunches with rubber bands, loose in boxes, wrapped in plastic, and sometimes growing in pots. No matter what the packaging, look for herbs with a bright color and strong aroma (open those boxes and plastic covers for a sniff). Avoid herbs that don’t smell fresh and appealing, or that are limp, soggy, yellowing, or have black spots. Grocery stores often overspray their herbs to make them look fresh, but this excessive watering actually encourages rot and mold. Explore other types of markets for herbs as well. Asian, Latin, and Middle Eastern markets sometimes stock herbs with better quality and prices than your local supermarket. Tender herbs such as cilantro, dill, tarragon, and chervil need special care so they don’t turn black or freeze in the refrigerator. After your trip to the market, remove any rubber bands or twist ties from your purchased herbs (and don’t wash them). The bunching together will hold moisture in the herb stems that will cause rotting. Next, trim off the root ends and the lower stem parts. This prevents the tops from wilting, because the roots draw moisture from the leaves. You can save any large roots to flavor soups or stocks. Wrap the unwashed, trimmed herbs loosely in damp paper towels, and place them in a zippered plastic bag filled with a little air (this cushions the herbs). Alternatively, seal the wrapped herbs in a plastic container, being careful not to crush them. Store the herbs in the warmest part of the refrigerator (usually the doors or the top shelf). Use the herbs first that are starting to lose their freshness, and throw out any that have begun to spoil. Basil is another tender herb, but it will turn black if put into the refrigerator. Instead, trim the stems, place the basil in a jar or cup with water, and put the jar on the counter or on the windowsill. Parsley, thyme, cilantro, sweet marjoram, oregano, mint, sage, lemon balm, fennel, chives, and rosemary are among the hardy herbs. Some cooks wash hardy herbs before storing in the refrigerator, while others wash them just before using, because they believe excess moisture shortens their shelf life. Others don’t wash their herbs at all, especially greenhouse herbs that may not have any grit or dirt. If you do wash hardy herbs before storing, thoroughly rinse them in cold water, and dry them using a salad spinner. You can also gently blot them dry by rolling them up in a clean towel. Next, spread them out on layers of paper towels, and air-dry them for ten to fifteen minutes. When dry, gently wrap them in paper towels and place in a zippered plastic bag, then refrigerate them. Change the paper towels each day to extend the life of the herbs. If you choose not to wash your hardy herbs, store them the same way in the refrigerator, wrapped in paper towels in a zippered plastic bag. You can store both tender and hardy herbs another way by trimming the stems, putting the herbs in a jar or cup with water, and placing them on the counter or on the windowsill. Except for basil, you can also store these in the refrigerator if you cover them loosely with a plastic bag. Make sure the leaves are completely dry first, whether storing them outside or inside the refrigerator. Change the water after several days if it starts to discolor. Freezing herbs can turn them black and slimy unless you protect them with a fat. If you must freeze fresh herbs (you can’t retain the flavor and texture), cover chopped herbs in a neutral oil such as a light olive oil. Place the herbs and oil in a zipper-lock bag, and partially seal it, leaving about half an inch of space open. Squeeze the air out of the bag before completely sealing it. Place that bag on a large plate or baking sheet, and store it in the freezer until frozen solid. When you want to use the herb, just cut off what you need, reseal the bag, and return it to the freezer. Different types of herbs require distinct cutting techniques to release the right amount of flavor, and to prevent the herbs from turning black. Use a sharp knife, because a dull blade will crush and bruise the herbs, which will turn them black even when using the correct cutting technique. Use scissors to cut off small amounts of herbs that are difficult to cut cleanly with a knife, such as cilantro. Chop the more tender herbs closer to cooking time. When to add fresh herbs to your cooking depends on the herbs you’re using, and the flavor you desire. Here is a helpful chart for more information on herb-food pairings and advice on the use of fresh herbs in cooking. Get the most out of your stove and other major appliances. Call C&W Appliance Service for the very best in appliance repair and maintenance. Call us today at (855) 358-1496 or (214) 358-1496.